7SIGNAL, a leader in enterprise cloud Wi-Fi Performance Management, announced that technology veteran, Don Cook, has joined the company as the chief marketing officer. Cook brings more than 15 years of global marketing leadership experience and a proven track record of driving innovation, market adoption and growth across the technology and Software-as-a-Service (SaaS) industries. Cook’s omnichannel strategies have supported growth initiatives, served as a platform for international expansion and driven demand for new product launches leading to millions in sales; venture capital and equity investments; and over $1 billion in acquisitions. Cook’s approach to marketing has helped to lead industry visionaries Learn.com, Taleo Corporation and iCare in the disruption of their respective industries. By joining the team at 7SIGNAL, Cook is reunited with the company’s CEO, Tom Barrett. The two worked closely together at Learn.com, where Barrett served as General Manager. Learn.com was acquired by Taleo Corporation for $125 million in 2010. “Don is a demand-focused marketing innovator who understands product positioning and delivering a marketing message that resonates with target audiences. He’s also a person I trust and someone others look to as a marketing thought leader,” said Barrett. “As 7SIGNAL continues its upward growth trajectory, we looked for a leader who could help us drive demand and ensure sales and marketing are aligned. After supporting the sale of Taleo Corporation to Oracle for $1.6 billion in 2012, and prior to joining 7SIGNAL, Cook co-founded iCare and proudly served as an administrator at Broward College. He has a Bachelor of Science in Business Management from West Chester University and is currently pursuing his master’s degree in Global Marketing Management at Boston University. 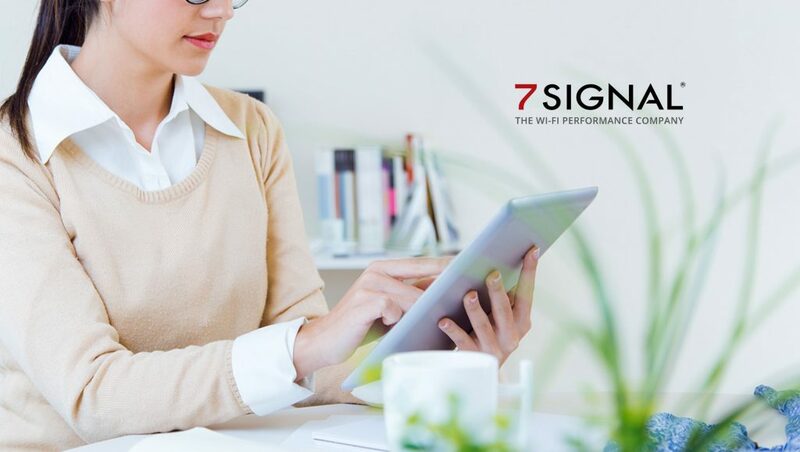 7SIGNAL is a leader in enterprise cloud Wi-Fi performance management. Founded by wireless networking pioneers, the company delivers applications that continuously diagnose the stability of its subscribers Wi-Fi networks. 7SIGNAL applications are designed for the world’s most innovative organizations, educational institutions, and government agencies and are currently deployed at Booz Allen Hamilton, IBM, Kaiser Permanente, University Hospitals and over 100 other sites.